Model Number: BX1300G. Category: Back UPS. 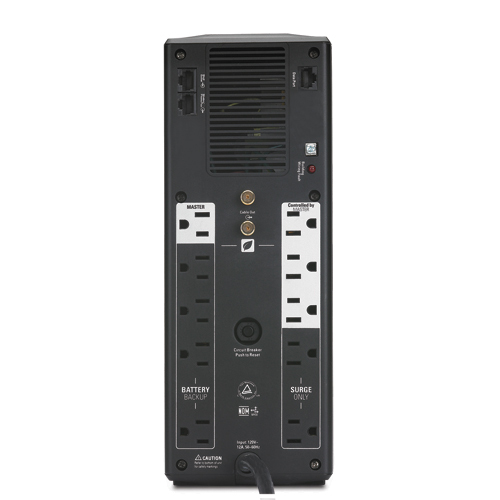 Reconditioned APC Back-UPS XS, 780 Watts / 1300 VA, Input 120V / Output 120V , Interface Port USB. Carries full one year Bumper-to- Bumper Warranty. 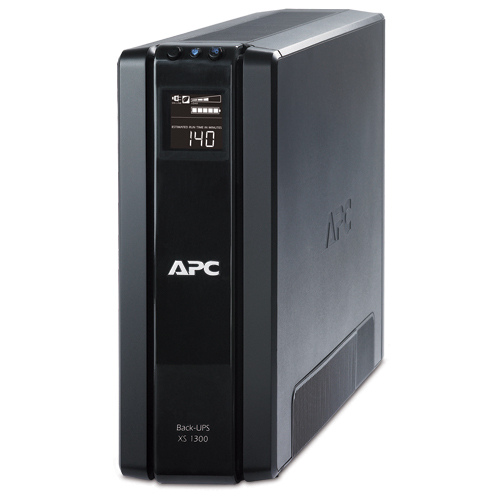 The APC Back UPS 1200 XS is equipped with adjustable voltage sensitivity, which automatically adapts the voltage output to the operating environment. The power-saving outlets are designed to automatically cut the power supply when equipment is not currently in use, which conserves energy. This unit also includes an energy-saving green mode that maximizes operating efficiency without sacrificing protection to equipment. The unit’s cold-start capability provides reliable temporary power when utility power is unavailable. There’s also an audible failure alarm to indicate when the unit is in immediate need of service. A refurbished APC Back UPS 1200 XS from CoastTec comes with a one-year warranty.